Oslo is having the best (or depending upon how you look at it, worst) winter since I've moved here. Yesterday it snowed nearly 50 cm, and there was chaos and delays in all transport, public and otherwise. It's a big start to what I hope will be a big year. I have some audacious goals for 2018 (amongst them to finish my PhD!). In terms of running, the biggest one is to train patiently, and not get injured. Progress doesn't happen overnight, it happens over consistent years. That said, I'm cautiously trying to up my game by including two hard workouts a week as opposed to one from years previous. Although skiing is great, the snow makes it hard to get in any decent running. Next week I'm headed to Tenerife for a training camp with OSI track team. I'm looking forward living the run, eat, repeat life for a week. We don't get a lot of sun in Norway this time of year, some I'm sure the vitamin D will be good too. I hope I get to run in shorts some this year! Here on Bispen during my honeymoon. In March, Audun and I will be travelling to Arizona to visit my parents, who are based in Tucson for the year. Expect some epic mountain bike rides, slot canyons and desert trail runs! In late April I plan to run the 10K at Sentrumsløpet in Oslo. I hope I can finally throw off the jinx from the last year - I got sick before both of the 10K I raced (exhibit A, exhibit B)! I'm definitely faster than when I ran my PR of 42:58 a year and a half ago. Although I'm a little scared to say it out loud, I think I could be in shape to run a sub-40 min 10K in April if I play my cards right. I'm at least read to try really, really hard! All-out speed is not my strength, but I'm willing to try! 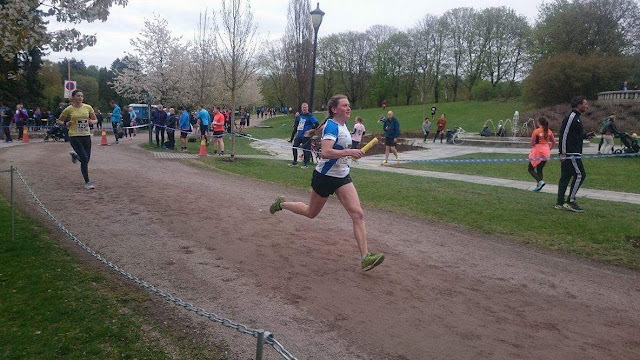 From Holmenkollstafetten last year. Then I'll be running the world's largest relay race Holmenkollstafetten for OSI track team in early May. After a good result last year we've progressed to the women's elite division, so this could get interesting. Switching gears completely, I'll be going back to Oslo Ecotrail for my first ultra of the year at the end of May. Although I would love revenge on the 45K (now 50K) course, I've decided this is the year of go big or go home. I'll be race the 80K distance on my home trails. My goal is to finish strong, because really this will just be a training race for the big things to come during the summer. I spent the last 25K of Ecotrail 2016 dealing with a demon cramp. Hopefully I can do better this time! This is the point where I admit I've been really bold, and signed up for Salomon Xreid. 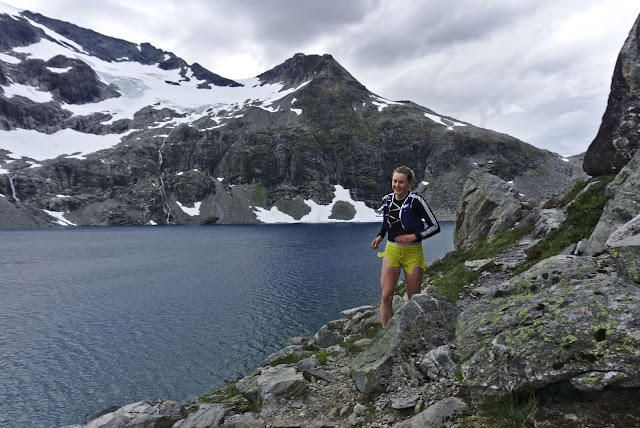 Xreid is a racing that moves location within Norway every year, and this year it's going to be set in the mountains Jotunheimen. At around 100k with 6000 meters of vertical gain, it's a beast of a course. Somehow, completing Jotunheimen Rundt last year has instilled me with a calm confidence that I can do it if I set my mind to it (and put in appropriate training, obviously). We'll see if my faith in myself is well placed! Biking touring in Croatia and Italy in 2015.
Who wouldn't want to go back to this? 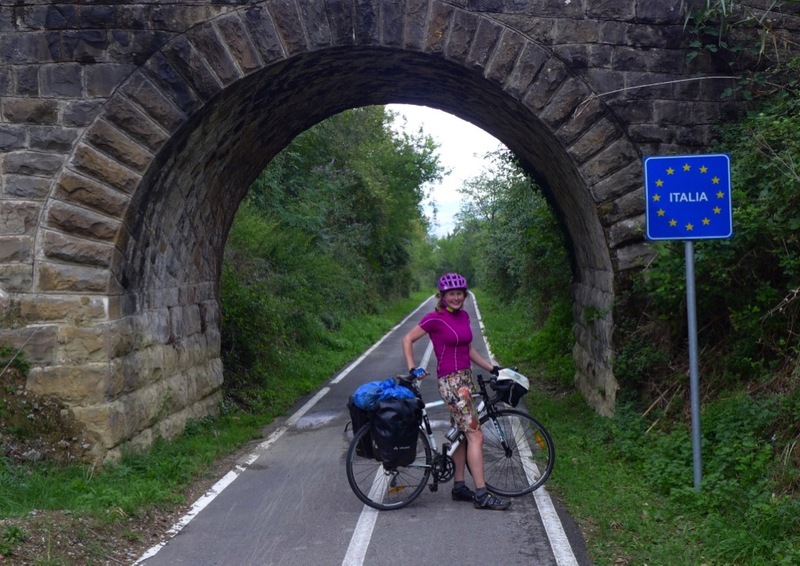 Unfortunately I wasn't drawn in the lottery for Courmayeur-Champex-Chamonix last week. 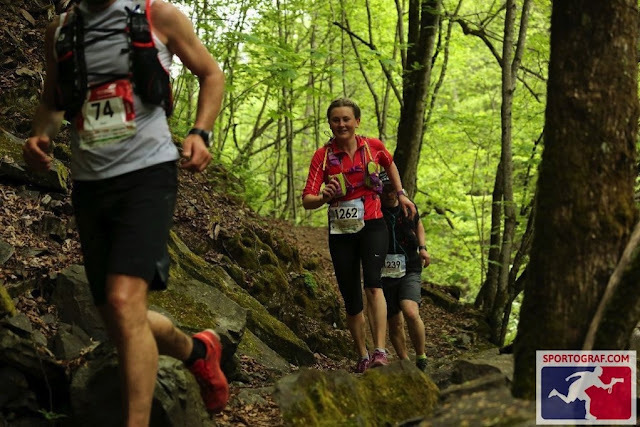 Luckily I have an alternative that is just as good, and that is going back to Ultra Tour Monte Rosa for the new 100 km ultra. Basically I will run most of what I completed as a 3-day stage race in one day. (And that does sound stupid when I say it out loud.) This will be my goal race of the season, and I hope to turn whatever lessons I learn during Xreid and a long summer of training into a solid race. So many fun plans for 2018! I'm excited to follow along! And sub-40 10K?!?! Wow!! I've been running some killer workouts lately, so I actually think the sub-40 10K might happen... if I don't get sick or injured!